With the assumption that you have already completed the 4 minute morning series and/or already have a base fitness level you may start trying these workouts. Keep a log of what you do so that you can go back and chart your progress…this is essential. Keep a file on your computer or better yet get a little spiral ring notebook (like above). Keep the notebook open while you do the workout. During the 10 second REST jot down the number of repetitions that you complete during each 20 second Maximal Effort round. 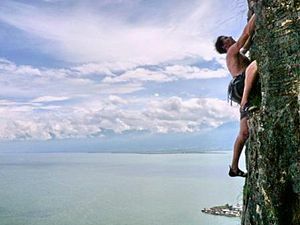 Mountain Climbers are kind of like doing high knees but with your hands on the floor. 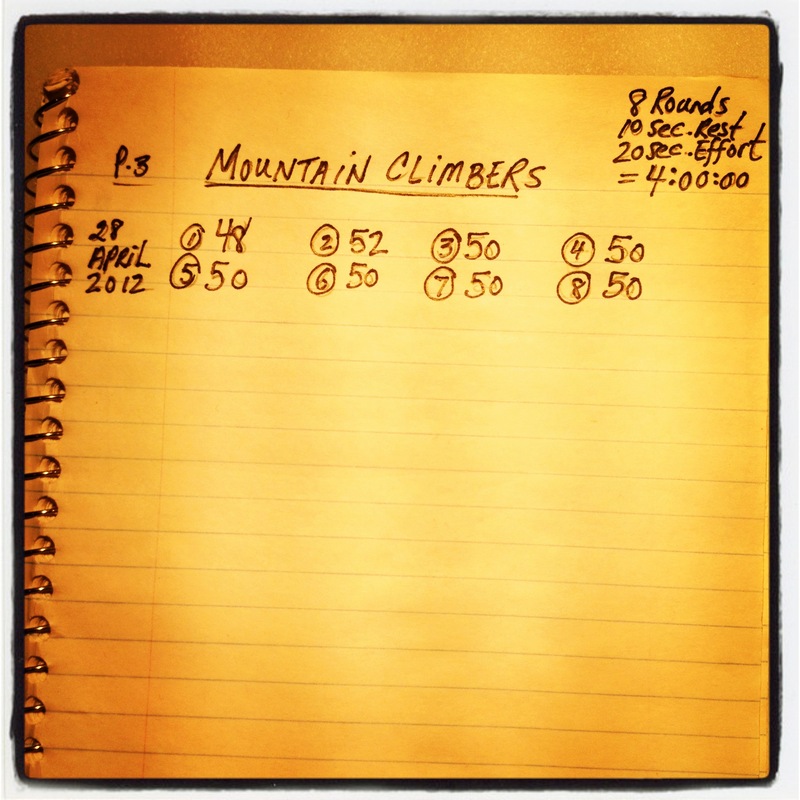 At the time of this update (Dec. 2012) I haven’t done any mountain climbers in about a year. My Daily Body Maintenance is constantly evolving. You will need a timer. If you don’t have a Gymboss Timer you can download the Gymboss Timer App for iPhone. Alternately, you can put a clock (with a visible second hand) in front of you on the floor and watch it. I know it is hard to believe that 4 minutes can accomplish so much, but it can. Focus on precision with each movement and by being consistent with a daily body maintenance program we peel away the layers of vague body movement and begin to narrow our focus on the myriad details. And with each practice we become more practiced at finding the details. It is endless. And so much fun. I use a “push-up” board I made for these, thanks to coach Steve Maxwell – awesome mobility/strength/cardio exercises!